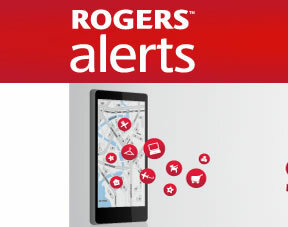 Sign up for Rogers Alerts (free to join) and receive a one-time $5 credit on one of your next two Rogers Wireless bills, as long as your Rogers Alerts account remains active for 30 days. Text messages are FREE. Maximum of 5 texts per week. Available to Rogers Wireless Postpaid customers only.